Every week we ask the ladies and gentlemen of the social web to show us their finest ink in celebration of Tattoo Tuesday; our favorite submission from Twitter and Tumblr each wins a free 3 month membership to SuicideGirls.com. Check this week’s winners below. @toastycoats a.k.a. 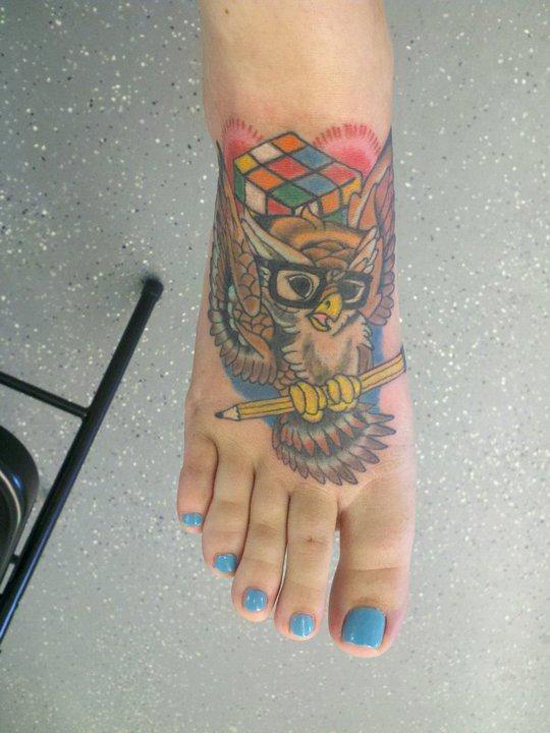 Shaina Clough wins with her wise old, Rubik’s cube lovin’ owl. The coordinated blue polish on the pedicure sealed the deal for us! hopelesslymg wins with this gothic Roman head. If you haven’t won this week, don’t forget that you can enter each week until you do, so good luck next Tuesday, and happy inking! Every week we ask the ladies and gentlemen of the social web to show us their finest ink in celebration of Tattoo Tuesday; our favorite submission each week wins a free 3 month membership to SuicideGirls.com. 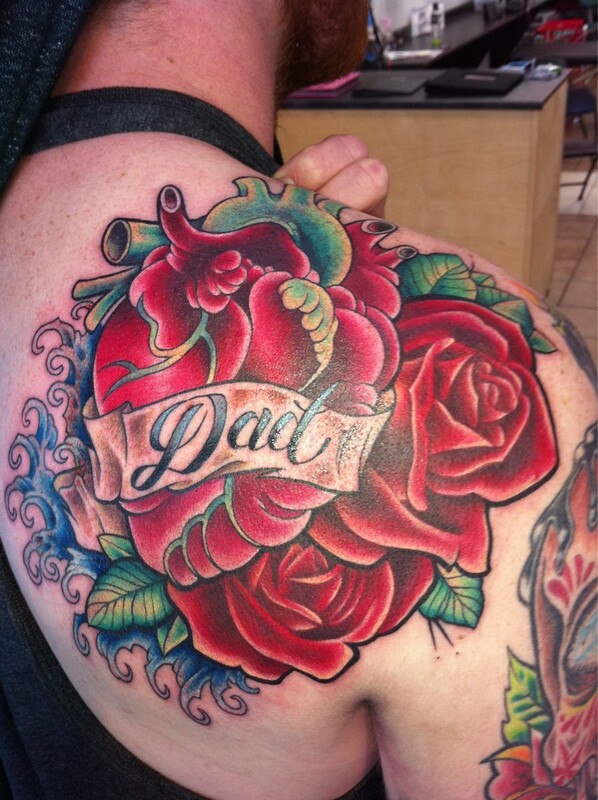 @Nirojamic wins with his gorgeous, sweet tattoo in honor of his dad. hannaheast wins with her Yellow Submarine! This week, Eden Suicide tells us why the Tattoo Group has made its mark on her. WHY DO YOU LOVE IT? : I find really interesting to read the different reasons behind this life changing choice. Tattoos can tell you a lot about who wears them. 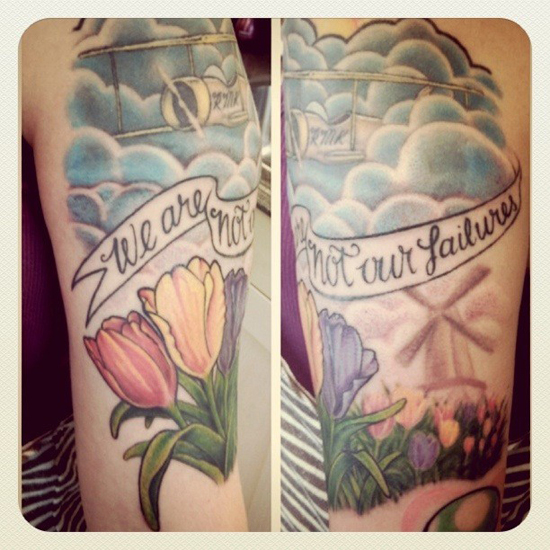 And I love to see pictures of tattooed people! DISCUSSION TIP: Learn how to use the SG search button and how to use Google Image search to find reference material. WHO’S WELCOME TO JOIN? 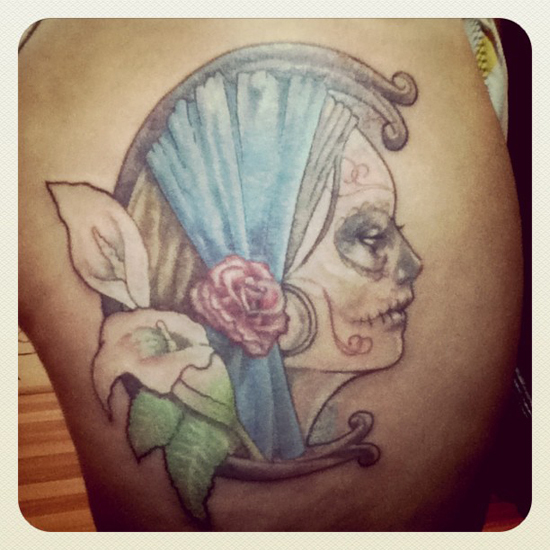 : Everyone who loves tattoos, people with tattoos, tattoo artists, or are just tattoo curious. Chris O’Donnell doesn’t have the rock star swagger. He hasn’t learned the art diva shtick nor developed an eye-catching wardrobe. Yet he’s one of the most sought after tattoo artists in New York by serious collectors and celebrities alike. It’s his work that garners all the attention while the boy-next-door persona sits quietly in the background. Named one of the best tattooers in NYC by Time Out Magazine, Chris has been needling clients since 1993, specializing in classic Americana, Japanese, and East Asian iconography. Read our exclusive interview with Chris O’Donnell on SuicideGirls.com.